It is with great sadness that we announce the loss of our dear sister Dianne Pothier who passed away on January 3, 2017. Dianne graduated from Dalhousie Law School in 1982 having won almost every academic prize available, including the University Medal in Law. As a faculty member, Dianne made leading contributions in her teaching and research to constitutional law, labour law, and public law. Dianne was famed for her doctrinal precision. She redesigned both public and constitutional law and enhanced their substantive content immeasurably. Dianne built an enviable publication record. To give just one example, her article “Connecting Grounds of Discrimination to Real People’s Real Experiences” has been cited in almost every subsequent article on equality law. She combined compelling personal narrative and incisive legal analysis in ways that elucidate and challenge. 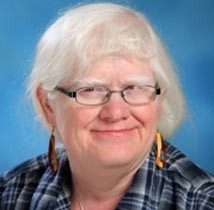 In addition to her contributions to constitutional law, labour law, and public law, Dianne was Canada’s leading legal scholar and activist on disability and the law. Her work on the concepts of equality and the duty to accommodate have been drawn upon by scholars across the country and have had policy resonance in legislatures and courts. “Dianne was a founding contributor to the Vulnerable Persons Standard. Her keen analysis of substantive equality and her deep insights about human vulnerability are at the heart of the Standard, and have infused all of our collective work over the past year,” Catherine Frazee said. Dianne was a community activist. She played cornerstone roles with many equality groups, including the DisAbled Women’s Network, the Women’s Legal Education and Action Fund, the Canadian Disability Studies Association, the Equality Panel of the Court Challenges Program of Canada, and the Canadian Association for Community Living.